Following my two posts about the Flemish painter Michael Sweerts (1618-1664) (filed under 17th century) I felt I have to add another since several paintings have recently come on the art market that have been attributed to him. Do they give us a new understanding of Sweerts’ work or do they confirm the image we already have formed of him as a painter? Attributions, particularly when significant amounts of money are at stake are sometimes difficult to accept when matters such as a painting’s condition have to be considered. With Michael Sweerts, the factors at play are various. He rarely signed his paintings and it is not known if he had pupils even though he himself was much preoccupied with artist’s studios or artists observed at work as well as with education in general as we have seen. His painting school in Brussels trained artists to work as designers for the Brussels tapestry industry; to copy the work of the master in order to learn to paint in his style as in Rembrandt’s case would not have been a consideration. 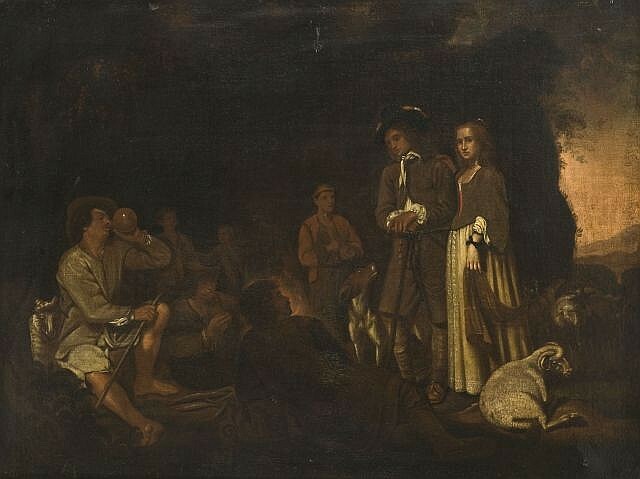 When contemporary copies of Sweerts works turn up on the market, it is difficult to say whether these are by Sweerts himself, by pupils, followers or were ordered by clients because they liked the original as in the case of his painting of a man and a woman in the Italian campania who, perhaps going out for an evening stroll, come upon a group of shepherds and stop to talk with them. At least four early copies of this particular painting have surfaced. One of them turned up at auction quite recently. Although attributed to Sweerts, one clearly sees the difference in handling of the figures, they are rather wooden when compared with the original. The attribution is far too optimistic. Contemporary copy, Paris auction 9 June 2012. How difficult attributions of Michael Sweert’s paintings can be is illustrated by the case of a fine portrait of a man that ended up in the collection of the Saint Louis businessman Clarence Hoblitzelle in 1912. Attributed to Karel Du Jardin, it and other paintings remained in storage until Hoblitzelle gave them to his brother Karl who loaned them to the Dallas Museum of Art in 1937 where they were cleaned and examined. There it was felt that “the portrait of the aristocratic gentleman in the golden sash would seem to have been painted in Velasquez’s second period, for there is about it that serene detachment for which his later work is famous.” The attribution shift from Du Jardin to Velázquez appears to have been due to the restorer and was almost immediately doubted but it wasn’t until 1952 that the painting was given to Sweerts. 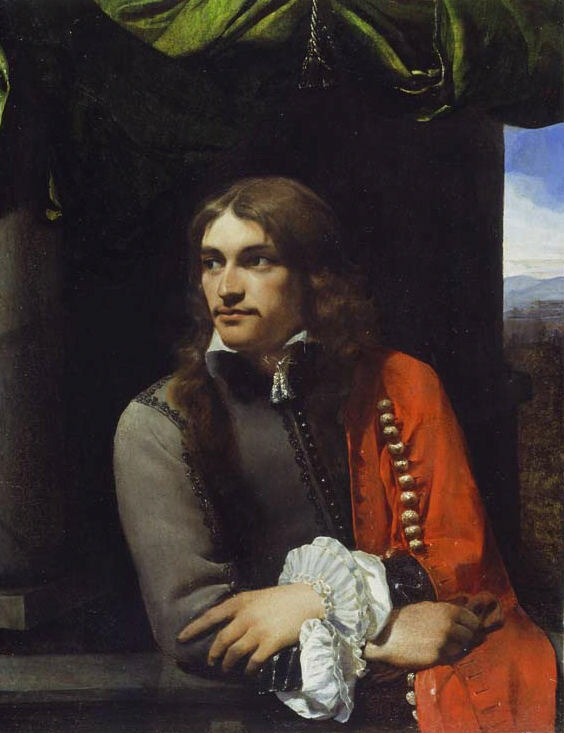 Today it is thought to depict one of the Deutz brothers following the discovery of the Journal of their mother who mentions that three of the five brothers were portrayed by Sweerts during their Grand Tour in Rome. In 2010 an astonishing portrait came up for auction at Sotheby’s where it was bought for USD 842,500 by London art dealer Johnny van Haeften. A staggering amount given the estimate of USD 100,000-150,000. 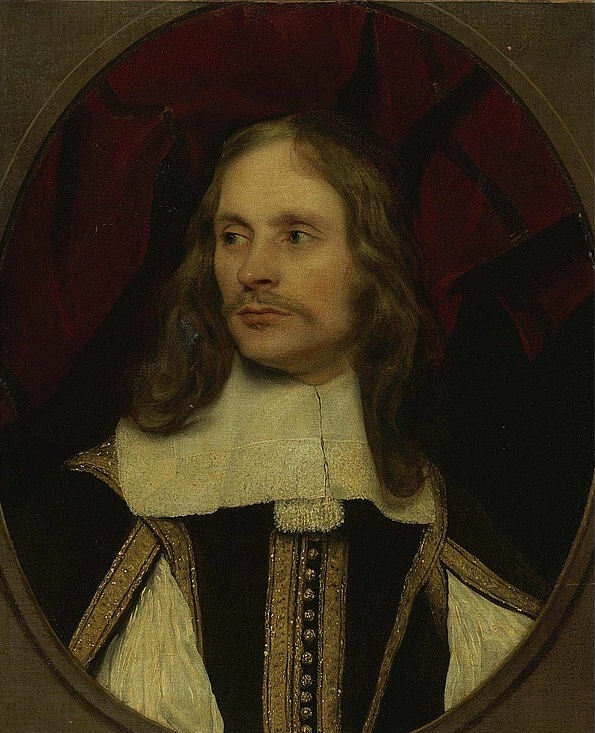 Quite possibly, the low estimate was influenced by the painting’s condition: the extremely yellowed varnish made it difficult to see the superb handling of the brushwork, particularly in the sitter’s costume details. Only a few months after the auction, Van Haeften presented the painting, cleaned, at the international arts and antiques fair TEFAF in Maastricht with an asking price of USD 1,1 million. The difference between the Sotheby’s photo and the cleaned painting which, according to Sotheby’s condition report, was otherwise in excellent condition is surely astonishing although, if the photographs are to be trusted, the treatment the painting received has caused losses, for instance in the fine lace on the man’s collar. 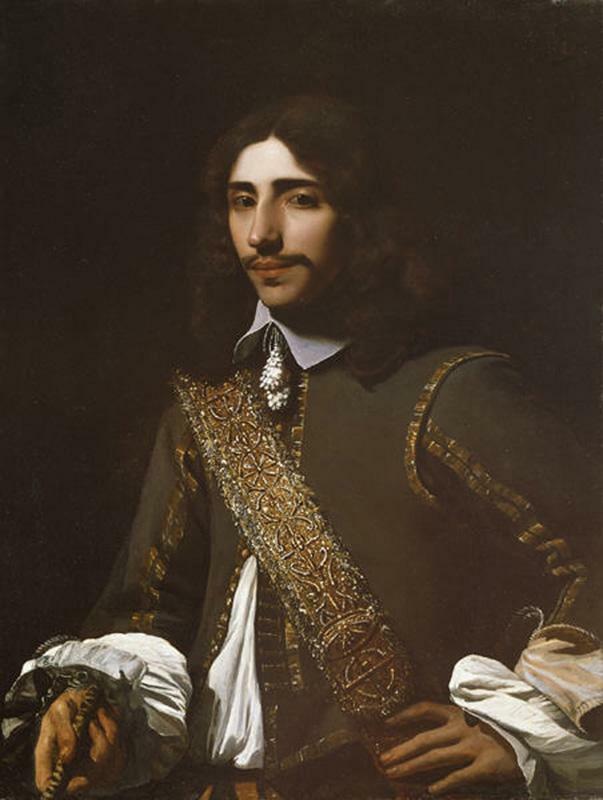 Is this portrait by Michael Sweerts? It does bear a resemblance to the Dallas portrait above and a small portrait on copper in the Wallace Collection. They have in common the attention to detail in the costume and the handling of the paint in these passages: a less smooth finish with gobs of colour mixed with white pigment dabbed onto the canvas. 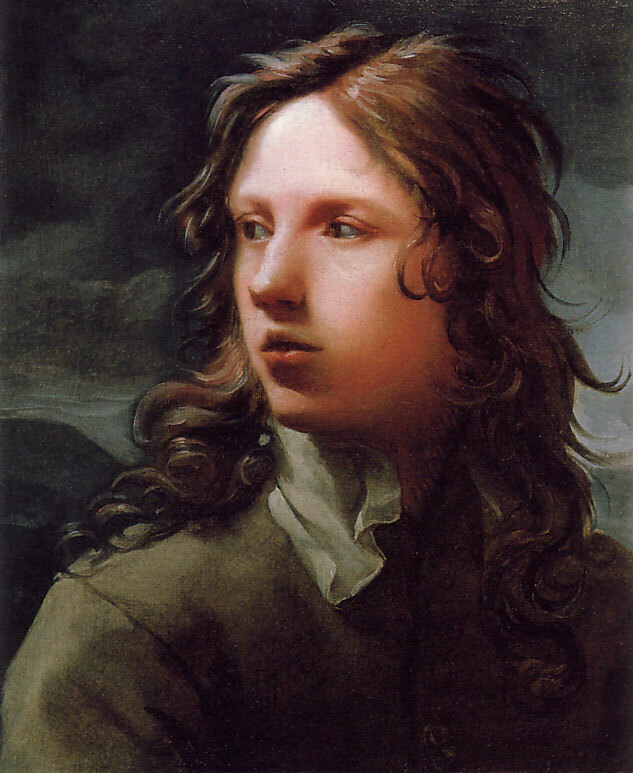 Added to that is the pose with the head turned three-quarters to the left, gazing into the distance which Sweerts also used for other than portrait subjects such as in his engaging genre paintings of young boys. The head of the sitter in the TEFAF portrait is modeled with great subtlety. Eyes and nose are painted with liquid highlights, again as in other known portraits by Sweerts. We find the same pose in a portrait of a boy which turned up at Christie’s in 1997. He is older than Sweerts’ previous models, more an adolescent. But here there are variations in the paint handling that are a-typical. The portrait is broadly painted with extremely thin pigment. The brushwork is remarkably free and the landscape is brushed in almost like watercolour. It is considered an unfinished work that therefore lacks the refinement of other portraits, but nevertheless that particular sensitivity towards his subjects that is so typical of Sweerts is there. This portrait seems a synthesis between Sweerts’ enchanting young boy portraits and the restlessness of his Self-portrait with a skull that we saw in a previous post. The landscape and the peculiar treatment of light falling on the figures are also reminiscent of that portrait. In 2006, a painting was offered by the Canesso Gallery in Paris of a youth who bears a remarkable resemblance to the above adolescent, perhaps it is even the same model but slightly older? 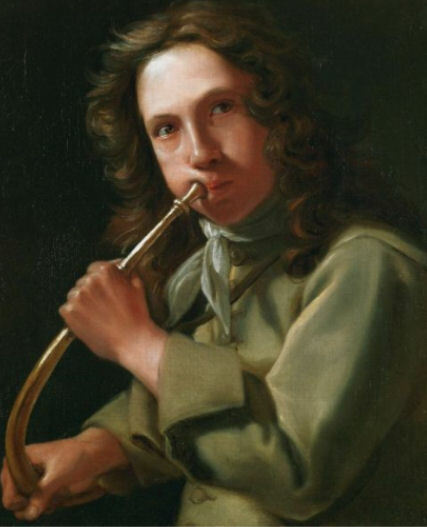 He is shown blowing a hunting horn which might indicate that the painting is meant to be an allegory of hearing. Although he again looks away from us, he nevertheless captivates in that typical Sweertsian manner where there is such an obvious relationship between the model and the painter. The brush plays with chiaroscuro, contrasting marked shadows with pure bursts of reflected light, particularly on the horn. If painted by a follower, it must be an excellent painter in his own right and one who observed Sweerts at close hand. 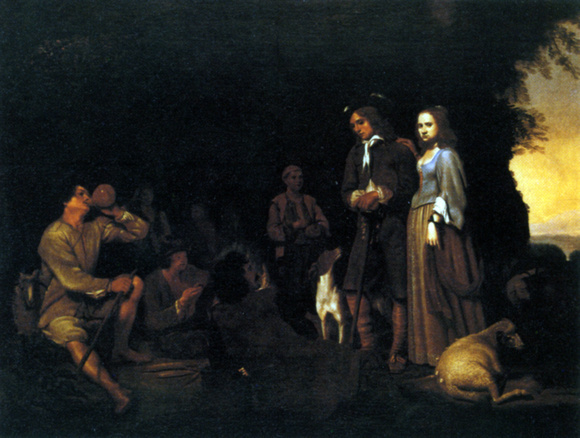 For now, the painting remains attributed to the master. If the painting of the Baptism of Christ currently offered by the Lindsay Art Gallery is by Michael Sweerts, we are looking at his only surviving religious painting which in itself makes this work unique. 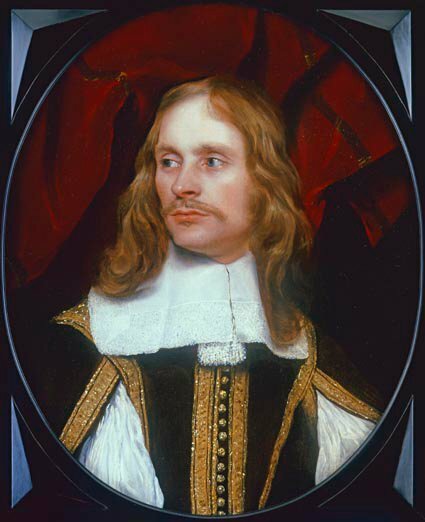 The painting has been dated between 1656 and 1659 which means that it must have been painted in Brussels. 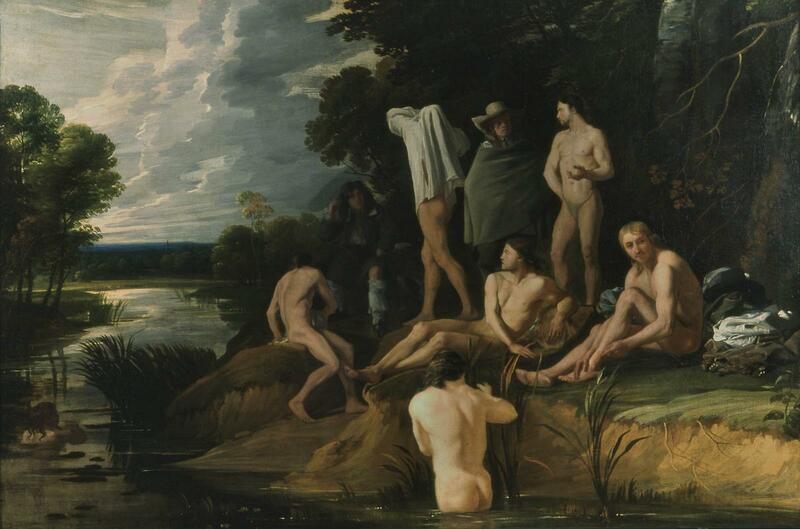 The landscape, reminiscent of that in Sweerts’ paintings of bathers in Strasbourg and Hannover, is a Northern landscape, bathed in early morning light. Interestingly, Sweerts uses the same model for both figures: John in an active and Christ in a passive role. A fascinating psychological concept which I have never seen before in paintings of this subject. 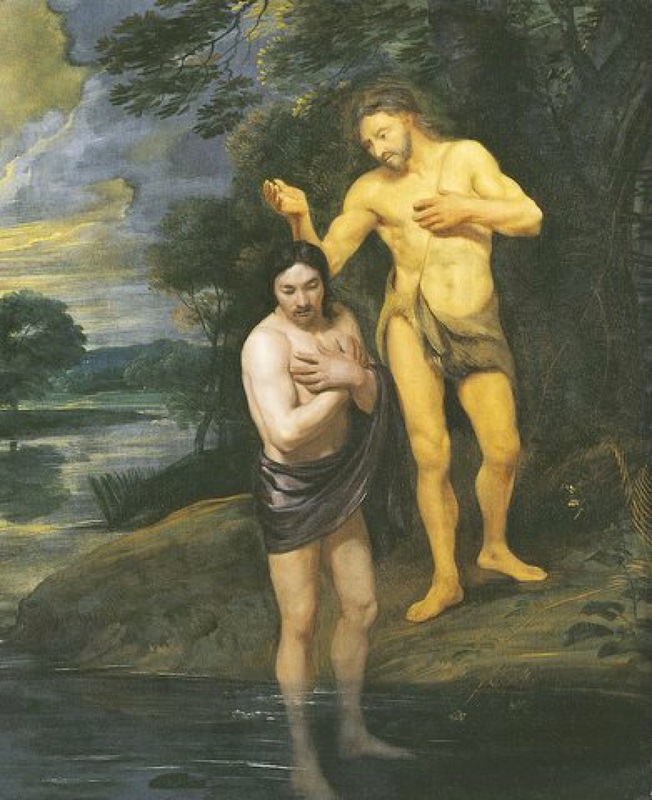 They are as it were each other’s psychological mirror image which makes this an emotional and at the same time deeply introspective rendering of the story of the baptism. If this painting is by Michael Sweerts it may be connected with his leaving Brussels to join the Société des Missions Etrangères as an artist and lay brother which must have been a dramatic change in his life. It was a commitment to a new calling as poignantly significant as Christ’s baptism was and one wonders in how far this image of a moment of dramatic but also humbling change and acceptance had biographical significance for Michael Sweerts at this crucial point in his life. Until recently the Baptism was in a Swedish private collection and only known from an old black and white photograph. Much overpainted, it was hard for experts to accept as authentic. It has recently been cleaned, restored and studied and is believed – by the gallery at least – to be “an outstanding work from Sweerts maturity”. I would like it to be. Again beautiful paintings.. Interesting how he used the same models in different paintings and the flute player is so beautiful! As are all paintings and I’d say the last is definitely a Sweerts painting as he uses the same stillness I see in other paintings. Not so impressed with the Restoration of the Dallas portrait, as it seems too bright now. Thank you Hanneke, indeed the last painting has that same stillness that is so characteristic for Sweerts but with an added spirituality that makes it breathtakingly beautiful. The use of teh same model for St John and Christ gives it a fascinating psychological twist. Such a pity that his other religious paintings are lost, I hope one or two will surface on the art market one day. I think you mean the restored TEFAF portrait of the man with the red curtain in the background? I agree: all it really needed was a gentle cleaning, not the complete make-over it apparently received.